Imagine having the information to confidently ask this question, right as customers walk through your door. Upserve’s guest book guest software makes it a reality. Collect data from every customer visit, arming yourself with information to ensure that they continue to come back for years. The most successful restaurants understand the importance of the customer experience. 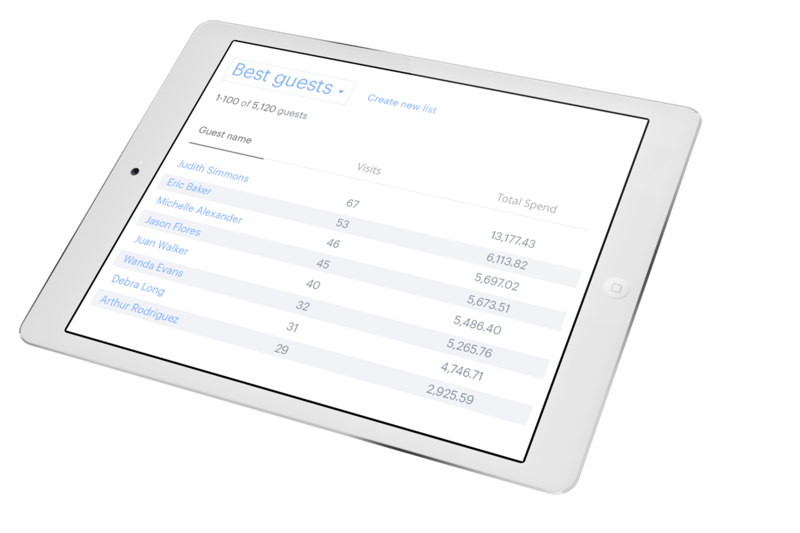 Our digital guest book software automatically creates a unique guest profile for any customer. While you manage your restaurant’s day to day business, we’re working in the background to serve up data about their spending, number of visits, favorite menu items, and more. Did you know? 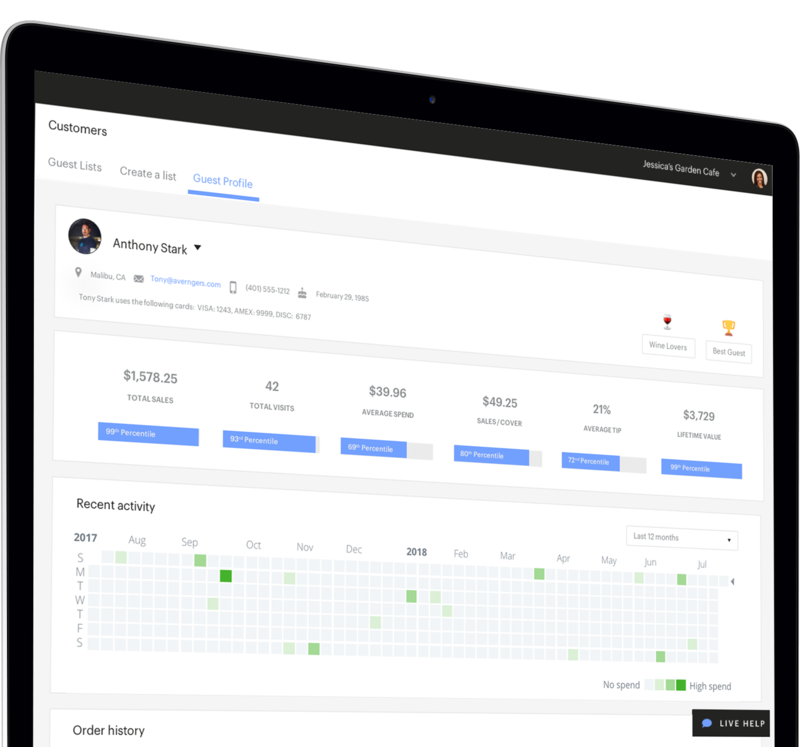 The average return on investment for a CRM (like Upserve’s Guest Book feature) is $8.71 for every dollar spent. Upserve creates a unique guest profile for each guest that pays with a credit card, and works behind the scenes to serve you up data about their spend, number of visits, and their favorite menu items. With this information, it’s easier than ever for you to improve customer service and bring customers back. So your customers love your restaurant but don’t always dine at the same location. If you manage a location that’s part of a chain or franchise, you can use our restaurant guest check software to track customer activity—regardless of where they’re checking out. 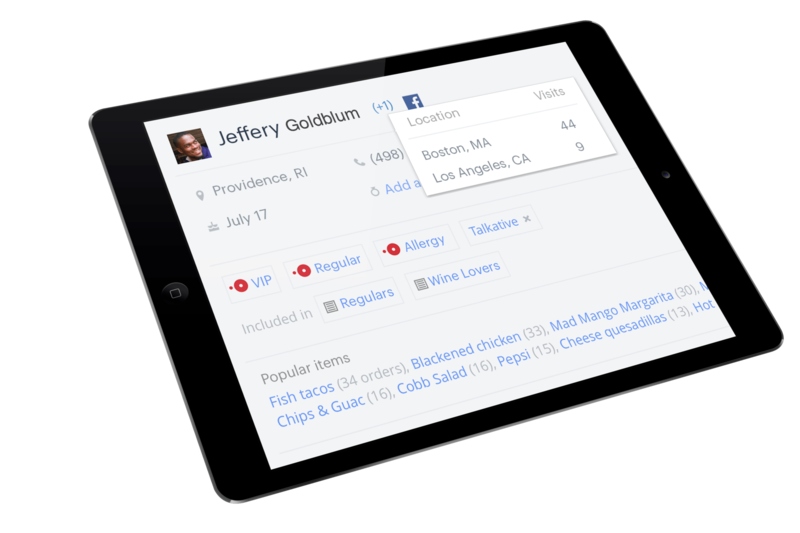 Upserve aggregates data about your guests from all your restaurant locations, so you know if Zoe visits one or all of your locations. By sharing data between all of your restaurant locations, everyone benefits from learning more about your most loyal guests. Besides access to data and insights explained through our powerful Guest Book guest software, your staff will also have the opportunity to add in their own insights. Floor staff can share feedback regarding how best to serve guests during their next visit. 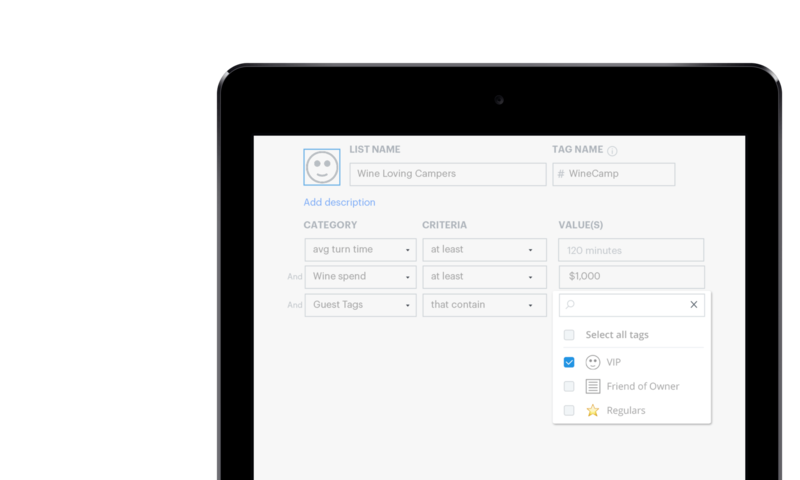 You’ll also have the opportunity to categorize diners through the use of tags such as ‘VIP’. 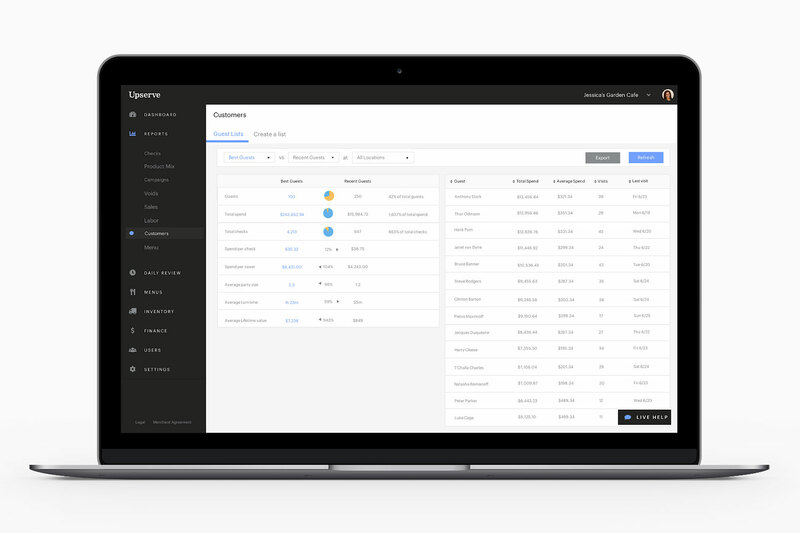 Furthermore, Upserve creates turn-key “Guest Lists” of your biggest spenders, your regulars, and your most recent guests so you know who is most important to your business’s continued success. Once your Guest Lists are established, you can use them to draw insights from these groupings—and plan targeted marketing campaigns! Eric HandwergerOwner/Operator of Ocean State Sandwich Co. Using Upserve’s Guest Book restaurant guest check system, you’ll find yourself with access to a plethora of interesting data points about your valued customers. In a world where people appreciate and react best to personalized offers, why not use this data to your advantage in marketing communications? According to Capterra, 47% of polled CRM (customer relationship management system) users said that their CRM had a significant impact on customer retention. So push out a promotion for that new macaroni and cheese dish to those that consistently buy comfort food pasta dishes. Or sell tickets to a special luxury dining experience to those with the highest check averages. Regardless of what you promote, Guest Book guest registration (and the information that results) will empower you to make smart and successful promotional decisions. Wondering whether your brunch customers or your wine lovers do more for your bottom line? 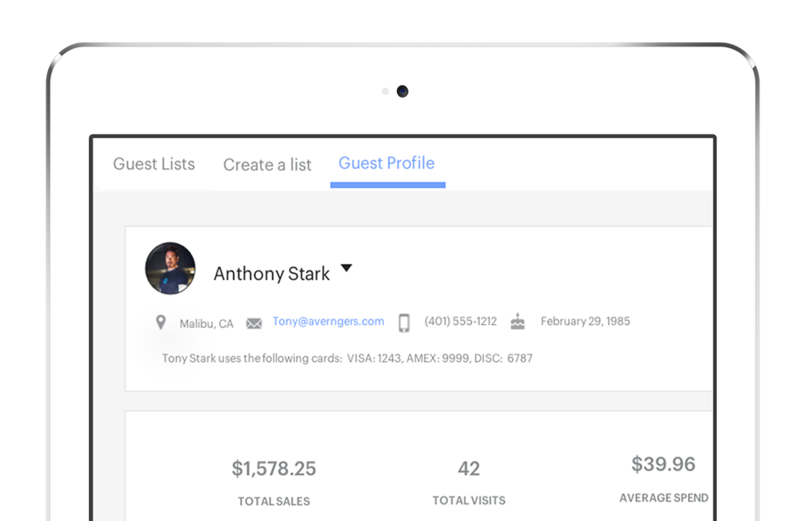 With Guest Book, it’s easy to compare key insights across any guest list you can imagine, so you can plan marketing and other important business decisions more easily.